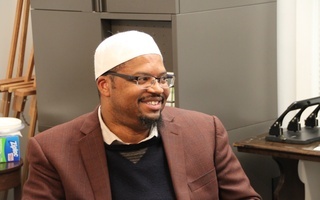 Khalil Abdur-Rashid, an adjunct professor of Islamic studies at Southern Methodist University, will become Harvard’s first Muslim chaplain on July 5, six months after University President Drew G. Faust first initiated the search. Before teaching at Southern Methodist, Abdur-Rashid served as the first paid Muslim programming associate at Columbia University and as a special adviser to the New York City Police Department on Muslim affairs. He has also served as an imam and a social worker. Faust first called for the University to hire a Muslim Chaplain in the wake of President Donald Trump’s executive order barring immigration from several majority Muslim countries. Harvard Divinity School professor of Islamic studies Ousmane Kane, who led a committee of students, faculty, and staff in the search for Harvard’s new chaplain, cited Abdur-Rashid’s depth of Islamic knowledge, wealth of experience, and strength of character in the choice. 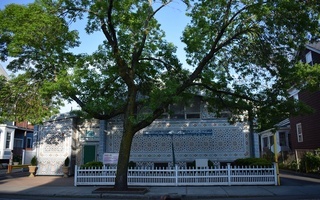 Abdur-Rashid received his bachelor’s degree in social work from Georgia State University and his master’s degrees in Middle East studies and Islamic law from from Columbia University. He studied Islamic law in Yemen and Istanbul, and is now studying American Muslim identity formation as a doctoral student. Beyond supporting members of the Islamic faith, Abdur-Rashid will join fellow chaplains in promoting religious pluralism and a “spirit not of mere tolerance but of genuine inclusion,” Faust wrote in January. Zarin I. Rahman ’18, president of the Harvard Islamic Society, echoed the need for stronger institutional support of Muslim students. “In this political climate, students on campus have struggled a lot in terms of spiritual guidance and mental health,” she said. 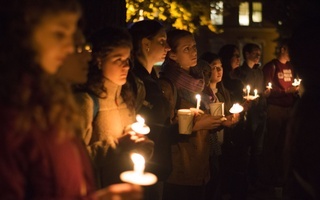 Rahman said Harvard’s part-time Muslim chaplain “wasn’t as available as we would have liked him to be or needed him to be.” She notes that Abdur-Rashid, as a full-time chaplain, will also bring a Muslim voice to interfaith and other religious discussions on campus. Noting that comparable institutions of higher education have a Muslim chaplain, Ahmad said she feels more valued by the University because of this appointment. 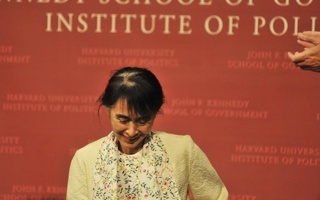 “It’s really one of the things that I leave Harvard most proud of,” she said. Abdul-Rashid is “deeply humbled and excited” to begin his new role, according to the press release. “I have really huge hopes for how it will better inform Muslim students and non-Muslim students on how to be better people, more conscientious people in general,” Ahmad said. —Staff writer Sarah Wu can be reached at sarah.wu@thecrimson.com. Follow her on Twitter @sarah_wu_. What cannot be debated is the increasingly common phenomenon of terror justified on the basis of Islam, a message that clearly attracts at least some within the Muslim community.